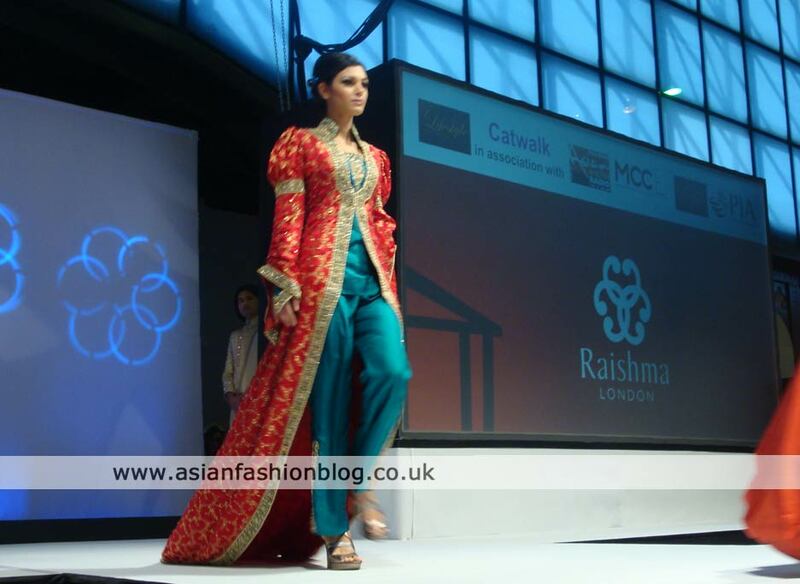 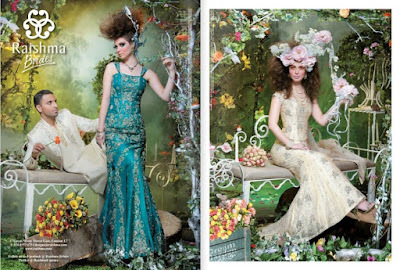 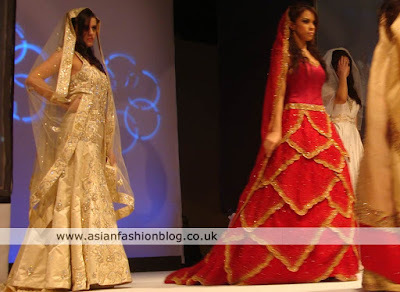 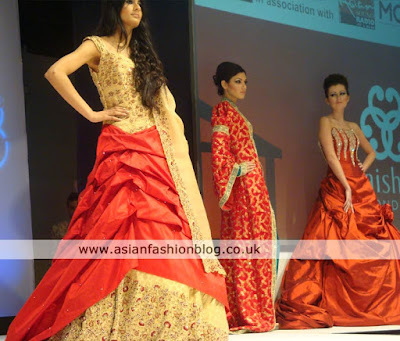 Here's the collection from Raishma at the Manchester Asian Lifestyle Wedding and Fashion Exhibition which took place at the end of February in Manchester. To be fair, I'd seen most of these outfits at other shows and events, however it was great to see a "big name" designer like Raishma coming up to Manchester to show off her collection - and considering my thoughts on the event overall I don't think this event would have been a good showcase for her newest designs. 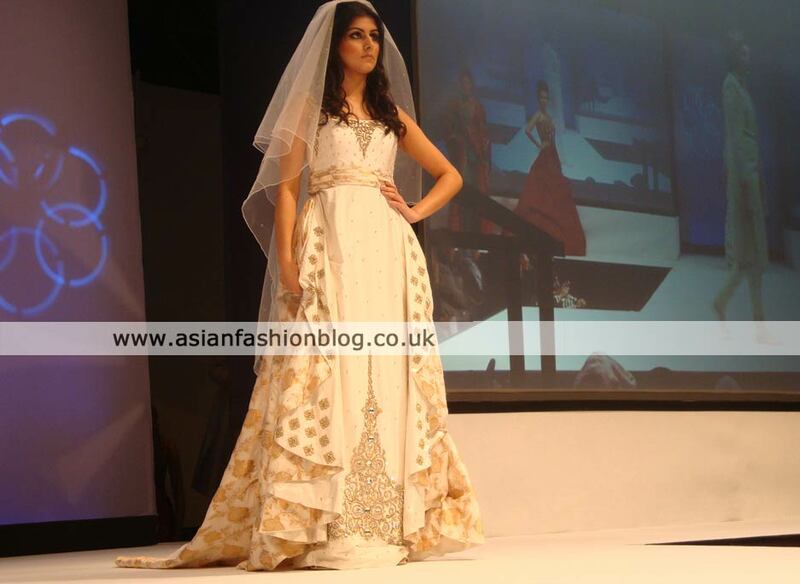 This white gown above was one my favourites, I love the way it drapes at the front. 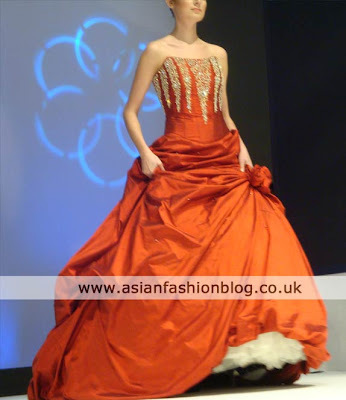 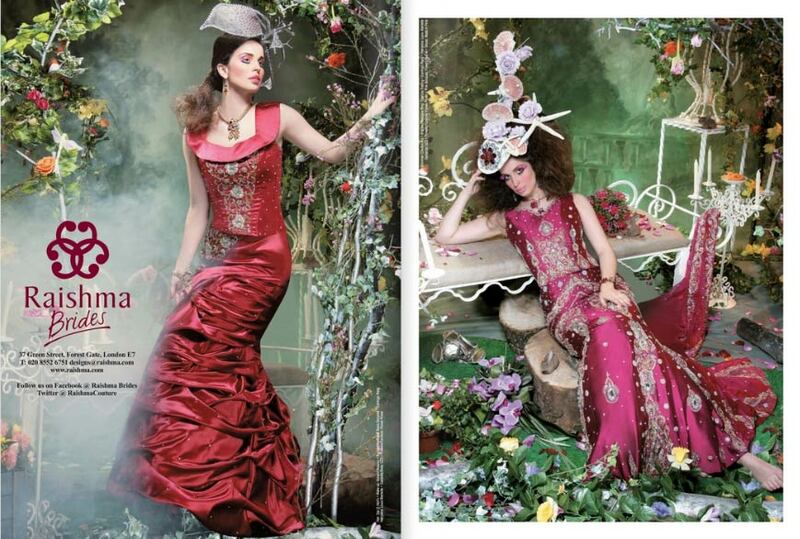 My least favourite was probably this red gown above - I'm not keen on the layers/panels on the skirt part of it. One steady-handed visitor at the event has posted a video of the Raishma collection at the show and you can view it here.